Age plays a large part in what people consider retro. For a 20 year old 2006 was a lifetime ago, not so much for people in their 30s and up. The more I think about it the more I like it. Seems to be a good definition. It worth considering that for many of us there is a bit of a kick in playing with hardware that was back then (be it a decade or two) outside of our financial reach. We wanted to play with these toys, but we couldn't. Now we can. And twelve years is about as much time as is needed for the ridiculously outpriced electronic gadgets to become available for an everyman. Vintage? Not really. Retro? Perhaps. A little outdated and still interesting? Absolutely! I bough cheap Dell M70 with Nvidia Quadro and Windows XP system to play XP games up to ca. 2005 and I mentally file it under "Retro" category. It's hard to fathom the flow of time, but Portal was published more than adecade ago! Also, you wrote "time flies" and it's funny, 'cause your avatar is a frog. The retro, vintage, modern etc is very relative without any definitions. If i convert the pc history to the car history, means a 12 years old hw is a car from ~1975. At new inventions the first period is always more intensive, and the jumps are bigger. 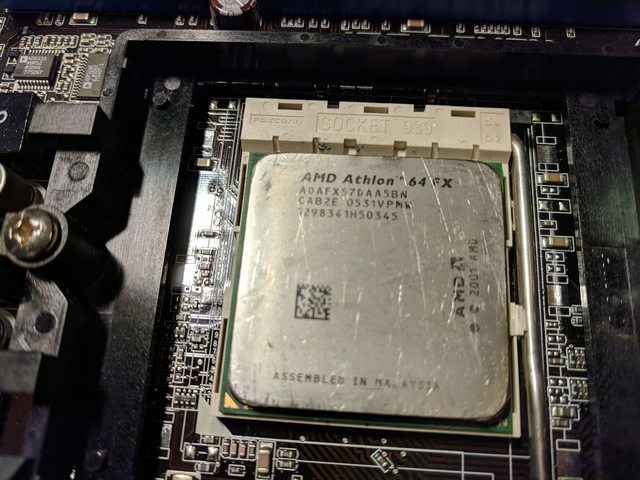 For me, the pentium was also new thing in 93, so i cannot feel big difference between, if i build a computer from 2000 or 2006. Both are nice periods of the pc history. I felt a big slowdown after circa 2008-2009. But anyway... it is a good subject, i suggest to make some definitions. There are people on here who probably were born after XP came out. 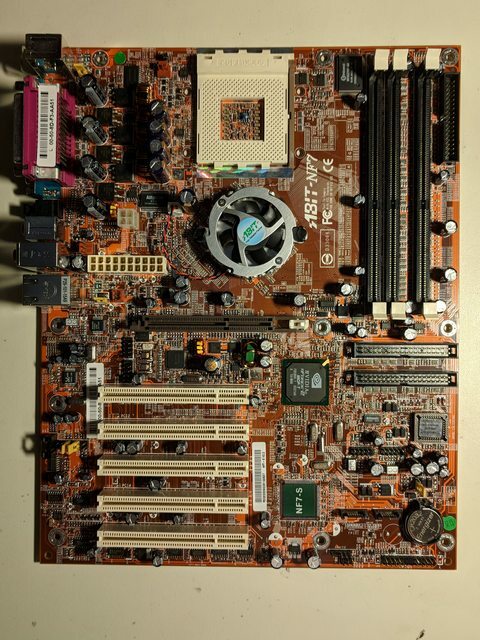 With all the computer recycling going on today it is hard to find old computer parts. No one is saving these old computers and parts. They are recycling. Personally, I hate working with old computers. They are so difficult to work with and many times do not make sense. But that's why I like them. They keep me busy. For people who don't want to fix hardware but just want to play games. Get DOSBOX , P3 with Win98se or XP computer. Personally, I just want to listen to music on old sound card collection and old multimedia cdroms. So a quiet computer is a must with SSD or CF card and large heatsinks with quiet fans. I spent to many years behind old loud noisy hard drivers and fans. I could never really enjoy multimedia on old computers because they where too loud. That's why I mainly use my iPad. ( It's the perfect all in one computer ). 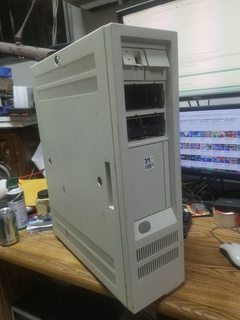 Intel486dx33 wrote: With all the computer recycling going on today it is hard to find old computer parts. You must be young or at least much younger than me. Most members that I deal with here and at vcfed.org on a regular basis find what you call "noisy", music to their ears. Personally I find the clatter and chugging of an old MFM hard drive or the spin up whine and deafening tone of an old full height 5¼" SCSI hard drive almost euphoric. The sounds these old systems put out are a huge part of the enjoyment for me. 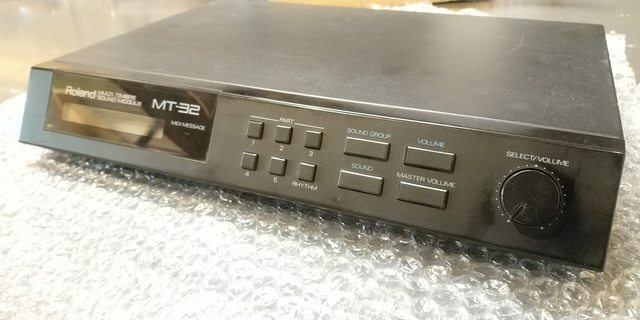 When I turn on that old 286-12 I am restoring currently and it makes its burps and belches at post and boot time it has that presence of more importance than just flipping on a smartphone or solid state device. Just my opinion, but I've always been fond of my opinions. Last edited by liqmat on 2018-9-09 @ 17:33, edited 1 time in total. Technically, retro is to imitate something of a specific period. The correct term to use is vintage. That being said, most of you on here will probably have the most fond memories of when you were in high school and will probably be mostly "attracted" to PC hardware from that same era. For me, my favourite time period is the 386 & 486 era but, about 18 months ago, I started to play around with XT's as well, which include MFM drives. 360KB floppy disk drives and only 640KB of RAM . So, for me, a Pentium 4 feels like yesterday and I don't consider that to be vintage at all. Last edited by jesolo on 2018-9-09 @ 19:12, edited 1 time in total. jesolo wrote: most of you on here will probably have the most fond memories of when you were high school and will probably be mostly "attracted" to PC hardware from that same era. 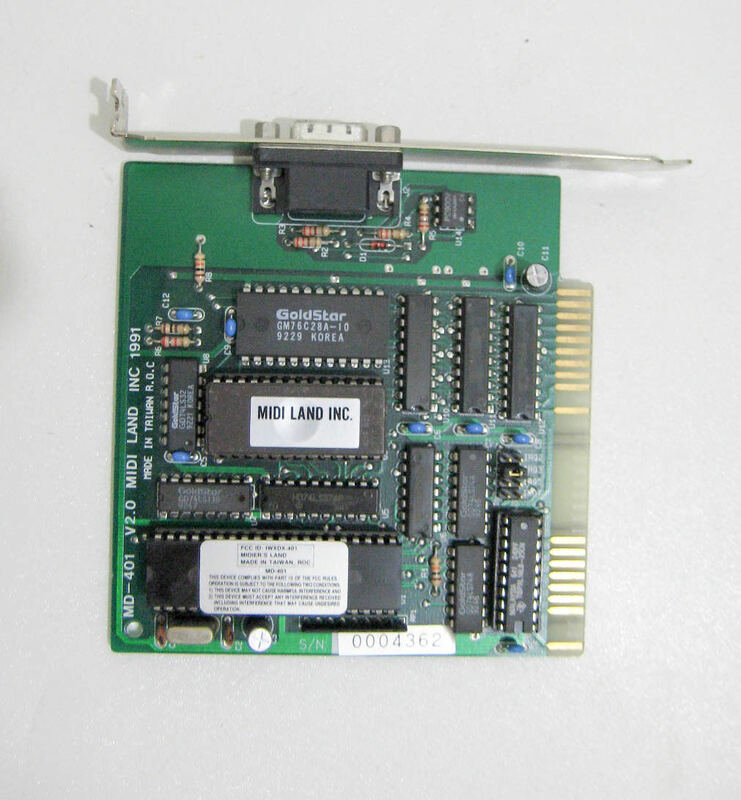 jesolo wrote: For me, my favourite time period is the 386 & 486 era but, about 18 months ago, I started to play around with XT's as well, which include MFM drives. 360KB floppy disk drives and only 640KB of RAM . Same here, although 286 does qualify as well (first PC computer was AT with Hercules). XTs in mind are a bit too close to 8bit - lovely, but primitive and troublesome. Heh'... Vintage is something that are utterly incapeable of modern ways of computing. Think of the computerworlds answer to a Ford Model-T, and you have that vintage machine. Retro is more like relative for people, as far as I can understand. Seems like retro is nostalgia and vintage is "really old". And yet I keep talking about pre-Win9x as vintage. Found an Amiga500 keyboard (cheap), wich are one of those red-light models. I really need one for my Amiga500 repair project. Then some standoff's for IC sockets and a keyboard-key-extractor. I wholeheartedly identify with this. When I turn on one of these old AT beasts and hear their familiar sequence of start-up sounds (Power switch, PSU fan, RAM ticking count, HDD and FDD initialization, speaker beep) I am invariably reminded of my childhood and the joy I had using the family computer at the time. I like using modern PCs as well but the experience is totally different and doesn't feel as immersive or sensory to me. Now everything is smooth and somewhat sterile and I feel something is missing from it all. We have made leaps and bounds in user experience and capabilities since that time and can do so much more now with our modern devices, but I don't get excited about them. Of course if you haven't lived through that time in the first place you're not expected to feel the same way - why would you? I never got the excitement of listening to a very old radio for example - but my dad did, as it too probably reminded him of his childhood. liqmat wrote: You must be young or at least much younger than me. Most members that I deal with here and at vcfed.org on a regular basis find what you call "noisy", music to their ears. Personally I find the clatter and chugging of an old MFM hard drive or the spin up whine and deafening tone of an old full height 5¼" SCSI hard drive almost euphoric. The sounds these old systems put out are a huge part of the enjoyment for me. When I turn on that old 286-12 I am restoring currently and it makes its burps and belches at post and boot time it has that presence of more importance than just flipping on a smartphone or solid state device. Just my opinion, but I've always been fond of my opinions. It depends on the person you ask, for me, my interest in retro computing was brought on by my overall dislike for the noises hard drives make and the small, fast and not-speed variable fans of the 486/pentium era. My hearing is quite sensitive though and certain noises really bother me, so nostalgia for some computer activity sounds is less enjoyable for me. Putting this thing in a custom case is something I have wanted to do since I missed out on getting hold of one ~16 years ago. Perfect combo of odd hardware and extendable capability. MMaximus wrote: I never got the excitement of listening to a very old radio for example - but my dad did, as it too probably reminded him of his childhood. The first radio I built in the 60s had a variable capacitor that wouldn't fit in my handbag, a coil that by today's standard was huge, 12 feet of wire for the ariel, and a couple of other discrete components. No battery or other amplifier. I used earphones connected via a 3.5 mm jack to listen to VHF radio stations. I was dead proud (I was only 6). I's love to find the plans to build something similar. Doubt I could find such a large capacitor now though (it was about four inches (10 cm) cubed). I only just got her opened, but she was missing a few obvious bits, plus the hard drive and memory. Thats okay. The motherboard is an A31, so no matter what I got the nicest stock model 80 IBM made. Probably includes a light version of some sequencer, plus some other unknown stuff. Slightly more than a DB50XG/DB60XG in a box, because with certain editors you can do more with it than with some of the other MU-units as certain parameters can be modified more extensively than on later MU-units. Finally joined the club and got my own instead of (long term) borrowing a friends. Got it locally too instead of having to import from the US/Japan. Really happy about that. Thermalwrong wrote: It depends on the person you ask, for me, my interest in retro computing was brought on by my overall dislike for the noises hard drives make and the small, fast and not-speed variable fans of the 486/pentium era. It can even go both ways in the same person. On the one hand I'm nostalgic enough for old crap to like hearing RAM test clickings, hard disks spinning and whirring etc. But on the other, when it comes to vintage systems I actually intend to use on a regular basis, they get the full silent treatment even if that's not strictly period correct. Nice find. 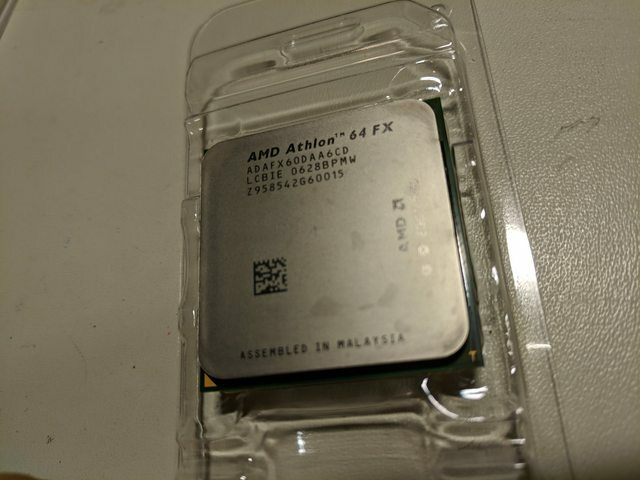 That looks like the rev.1.0 with i440ZX chipset. The power regulation circuitry is different to the rev.2.0, which is bad news if you want to run a Coppermine (at least in theory), but good news that they didn't use the suicidal caps on the rev.2.0. 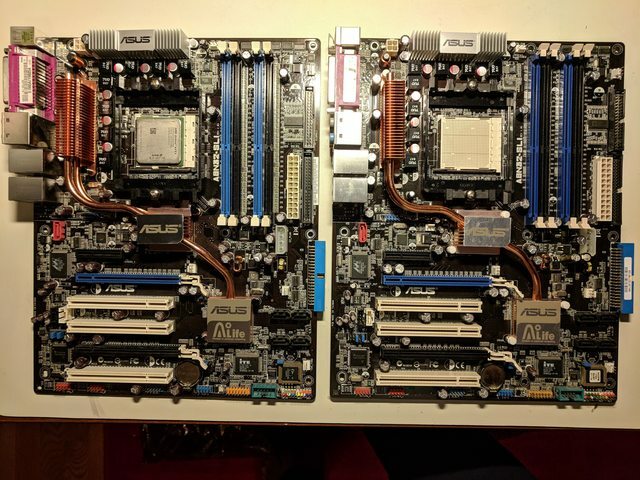 Your pic isn't good enough to be completely sure, but it looks a lot better than my two rev.2.0 boards did when I got them. 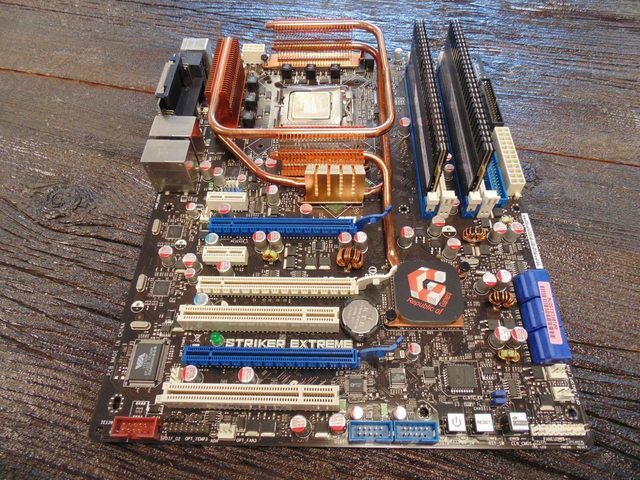 Interested to hear if you could get a Coppermine running on this baby. Got this a couple of months ago and forgot to post! 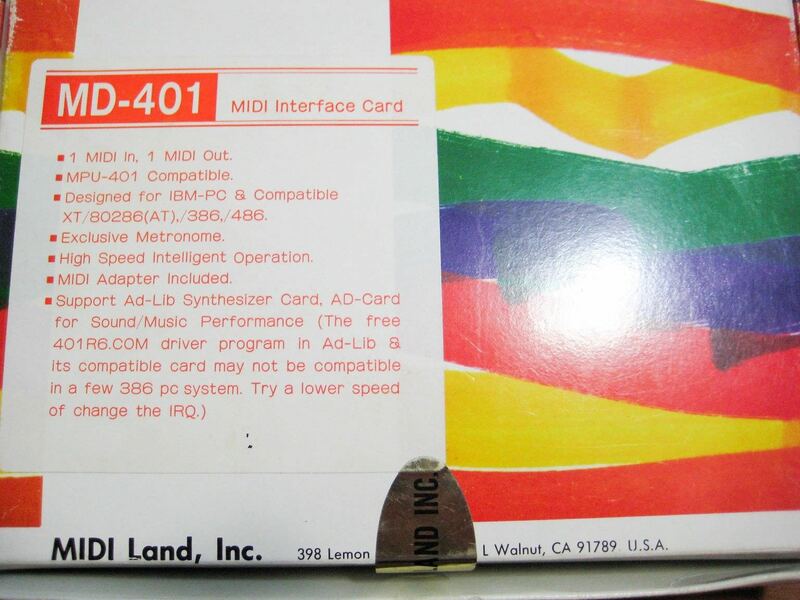 Midi Land MD-401 v2.0, very similar to MusicQuest. MMaximus wrote: I wholeheartedly identify with this. When I turn on one of these old AT beasts and hear their familiar sequence of start-up sounds (Power switch, PSU fan, RAM ticking count, HDD and FDD initialization, speaker beep) I am invariably reminded of my childhood and the joy I had using the family computer at the time. I agree with this part, for the most part. There were certain sounds, however, mostly due worn drive bearings, regardless of the vintage of the computer, just drive me crazy. The high pitched squeal from some MFM hard drives and also many of the Quantum Fireball drives is just nasty. And none of the small, noisy 40mm fans sound better to me these days then when I originally experienced them. Nostalgia only takes you so far! Over the past week.. picked up a few more semi-modern components before they get ridiculous in price. Got the A8N boards free, NF7 free, and everything else less than $30. Last edited by wiretap on 2018-9-10 @ 10:15, edited 1 time in total.